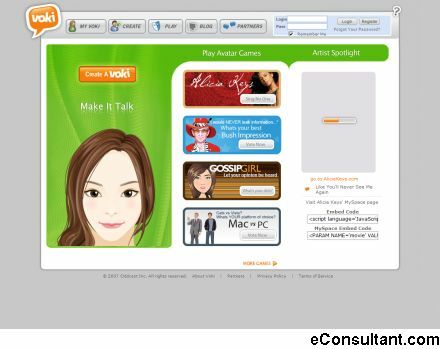 Description : Voki enables users to express themselves on the web in their own voice using a talking character. You can customize your Voki to look like you or take on the identity of lots of other types of characters: animals, monsters, anime etc. Your Voki can speak with your own voice which is added via microphone, upload, or phone.